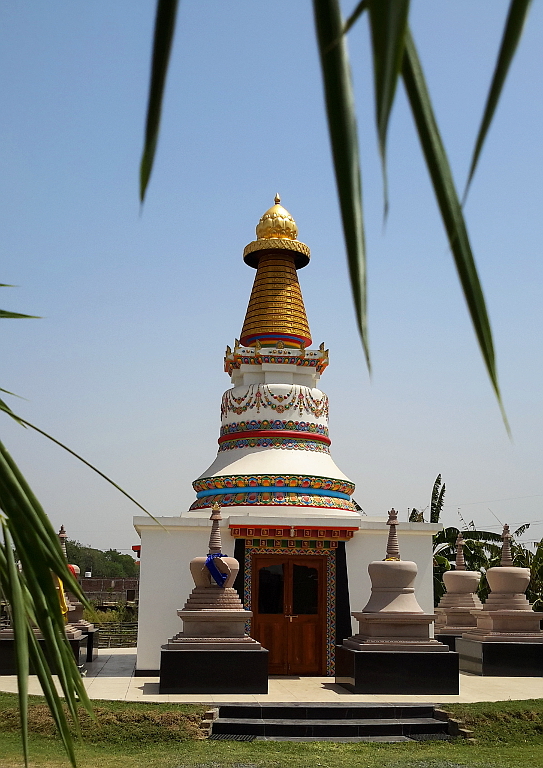 Our Stupa Garden of Compassion is a beautiful place ten minutes walk from Root Institute, and a ten minute rickshaw ride from the Mahabodhi Stupa. 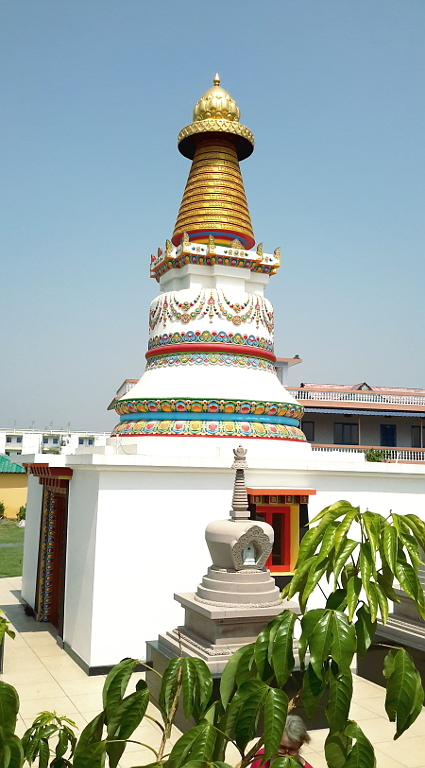 It features a magnificent, 24-foot high Kadampa Stupa consecrated by Lama Zopa Rinpoche, towering above a shrine room suitable for up to 12 retreatants, surrounded by eight smaller stupas. Nearby is a new accommodation building which makes this an excellent location for individual and group retreats. 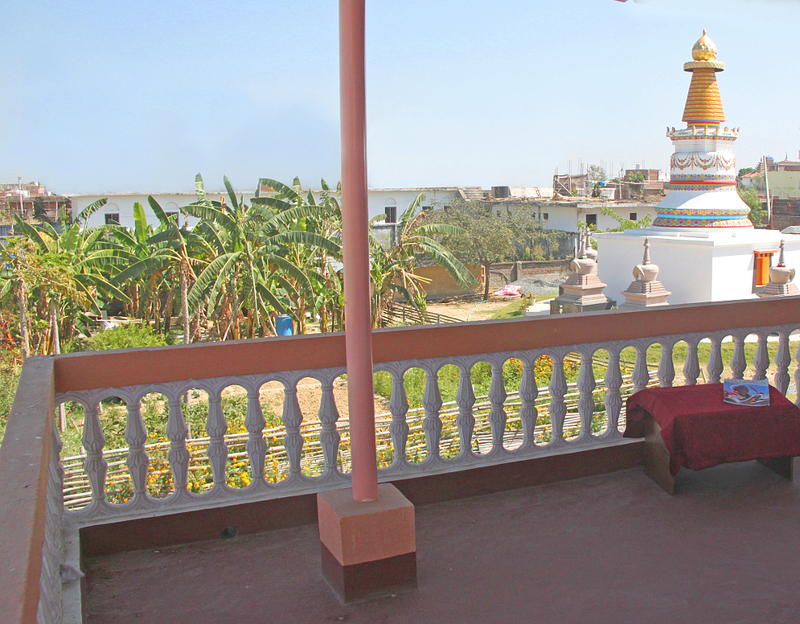 From the veranda the Mahabodhi Stupa can be seen, making it an auspicious place to do prostrations, yoga and other practices. Some of our liberated animals reside on the grounds. For those who require it, fire pujas can be requested and led by monks from Namgyal monastery. 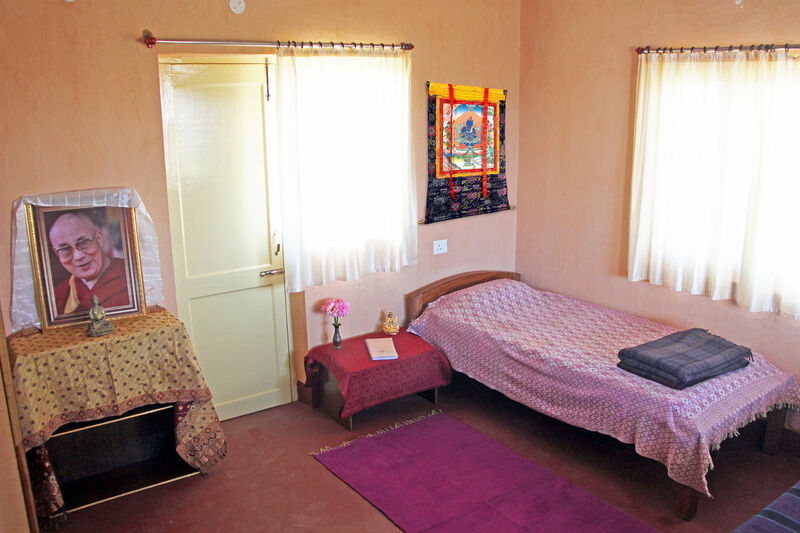 Root Institute also has an area within our compound which is still available for individual retreats. Our onsite personal retreat space is located in one corner of our property. It is a quiet, shady area with several retreat huts. Silence is maintained at all times in this area. We have a pre-requisite that retreatants fill in our medical form. Please read the rules of personal retreat discipline, below, before completing the form. As retreat can sometimes be a condition for mental turbulence and stress, it is very important that each person completes our medical form as honestly, and with as much detail, as possible. 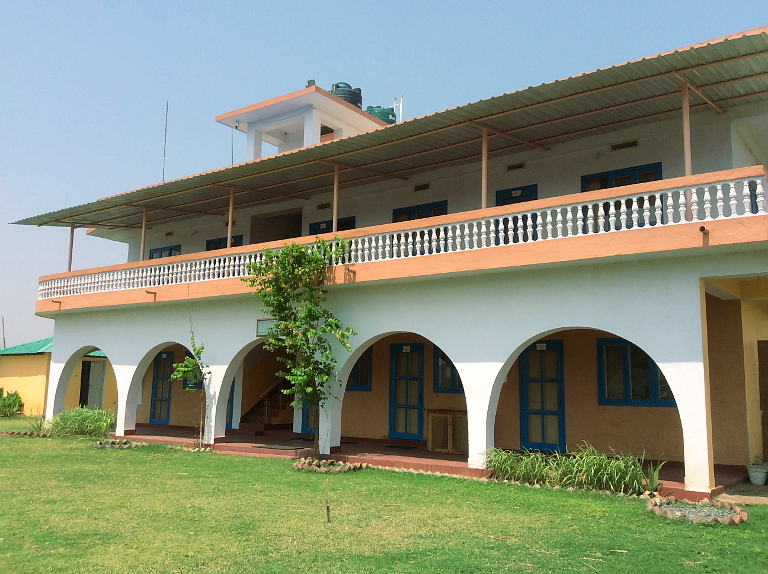 Health services are very limited in Bodhgaya and, on rare occasions, Root Institute is required to connect people who experience very intense mental health issues with their family and relevant embassies. For individuals, please complete the book your personal retreat form in detail. Applications not correctly filled-in will not be considered. If you are interested in holding a group retreat here, please contact our Spiritual Programme Coordinator: .